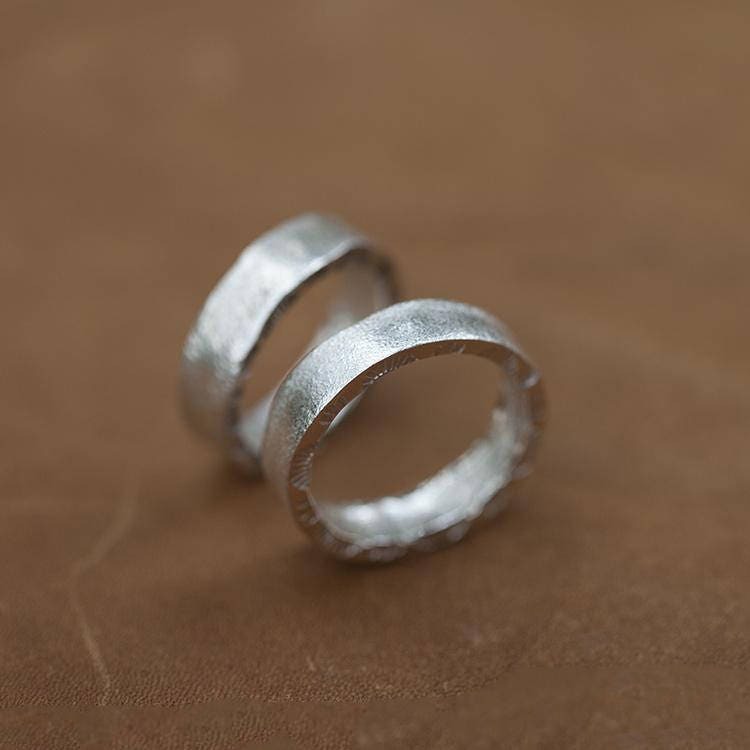 The Rustic Silver Ring is handcrafted in 925 Sterling Silver. 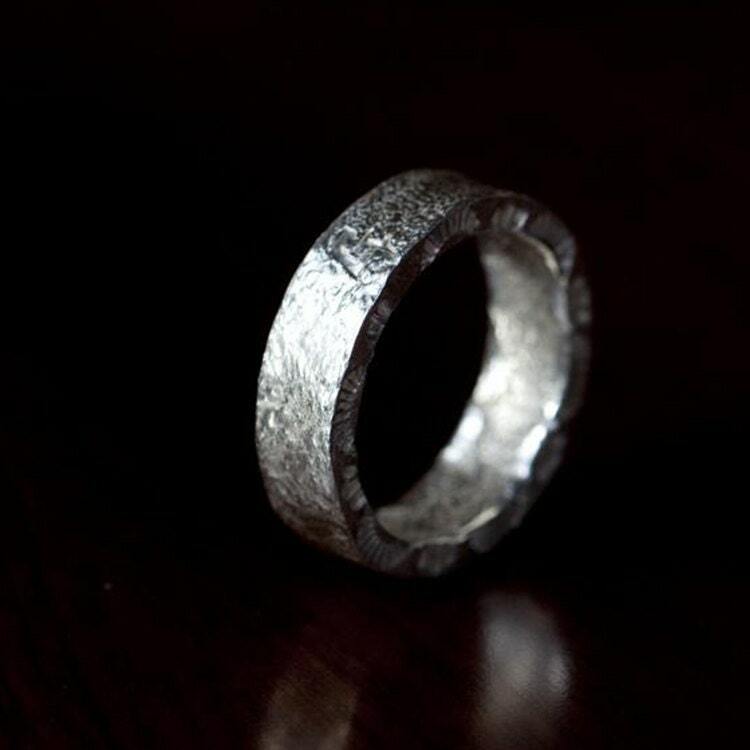 Hammered to produce a rustic, rough texture, a silver ring cannot get any simpler than this. 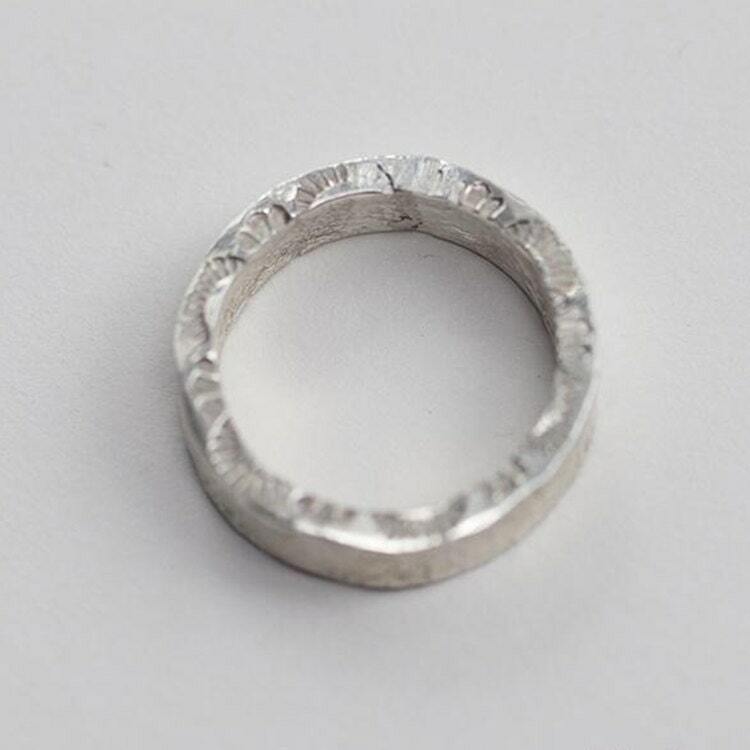 Just a plain, round, unfinished band, with slightly rough edges. 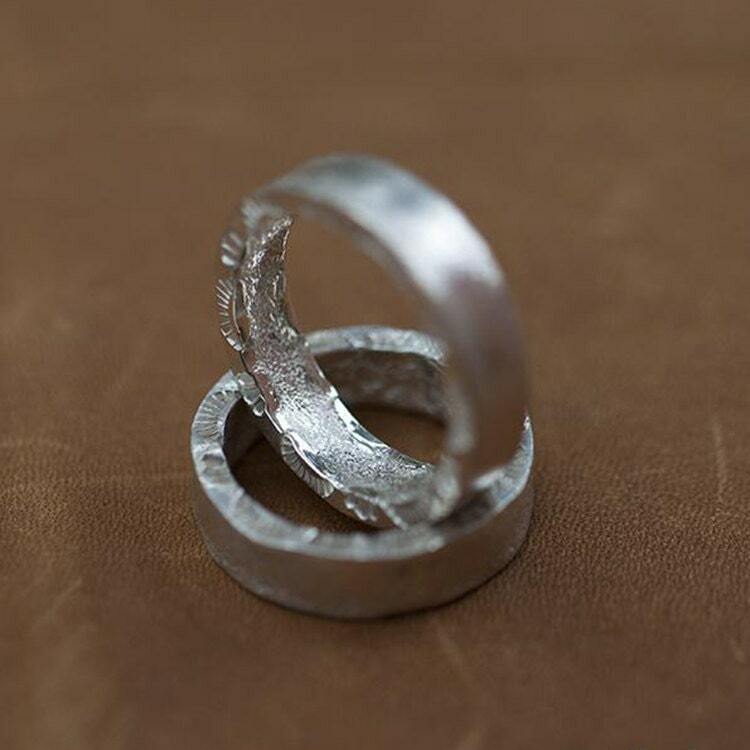 But still beautiful - a primal attraction, a beauty that can be found only in the simplest, most plain objects. 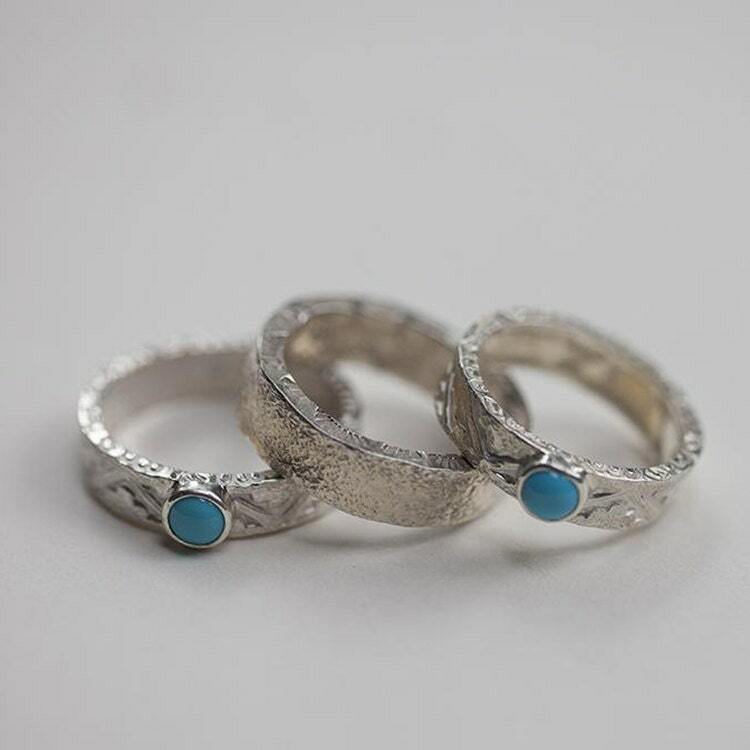 Simple and elegant - perfect as a gift to a loved one, or even as an engagement ring. 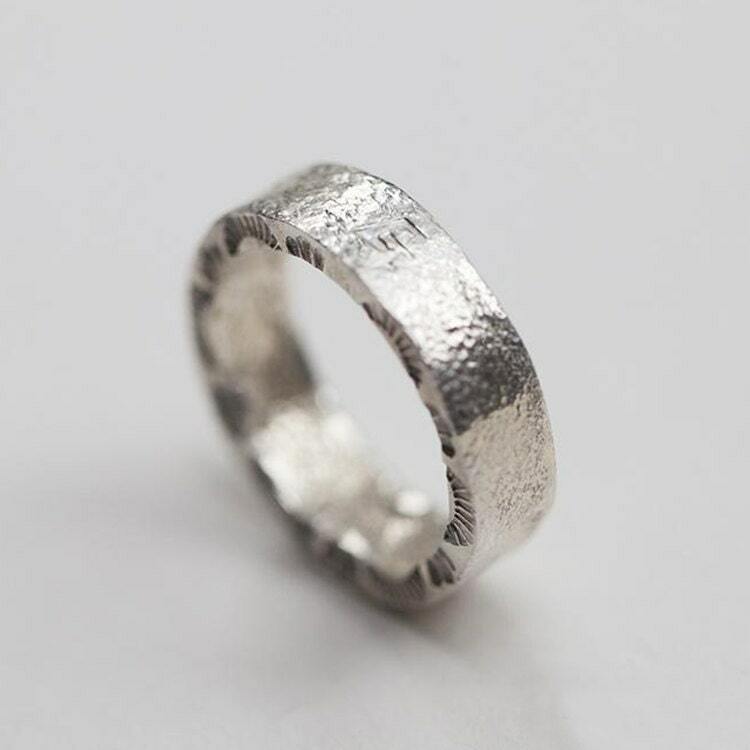 We can personalize your silver band ring by engraving your name or initials on the inside of the ring (in LARGE CAPS, up to 7 characters). You can also choose numbers,❤,&, and (.) little dots. All Letters Size 1/8" (2mm). Just leave us a note when ordering.